It is very easy to make simple moral judgements. He hit it. He’s out. He should walk. No less than the World’s premier god botherer botherer, Richard Dawkins seemed to see things in this simple black and white way. Unusual for an internationally renowned academic, but hey. Of course humanity, sport and particularly cricket have more shades of grey than an second hand book store. This is not helped by the most ambiguous set of ‘rules’ in any sport “the spirit of cricket”. The spirit of cricket is not a cocktail that drives Freddie Flintoff into a pedalo at past midnight, or convinces David Warner he is actually David Haye. It is a moral code enshrined in the preamble to the law of the game – professional players can be fined and banned for not upholding it. So what exactly is the Spirit Of Cricket and does it cover walking? Is not walking actually cheating and is it even immoral? You can read the preamble to the laws yourself here. It mentions dissent, aggression, physical violence, accepting the umpires decision, respect, appealing when clearly not out and distraction as some points.The first and controversial Ashes test certainly had breaches and fine examples of this spirit. Clarke aggressively approaching the umpire after Broad had thick edged a ball off Agar via the keeper to slip, being the former. Trott quietly walking off when he was let down by the third umpire and the operation of technology being the later. Broad not walking, I’m afraid not. Whilst you could cite not walking is in breech of “the game and its traditional values” it would require a convention of walking which even in the most rose tinted PG Wodehouse history of the game hasn’t happened. Batsman have for as long as the willow been wielded fallen into three camps. 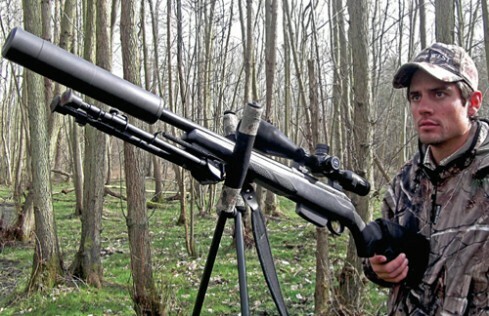 3) Tactical walkers – will walk for a thick edge and stand their ground for a thin one. This came about as batsmen who got a reputation for standing their ground got given out more by umpires. Stuart Broad is in a long line, perhaps the majority of number two’s and now everyone knows it, but calls for fines or bans have no precedent. To create a convention of walking would require a sea change in the culture and convention of the game. Broad’s behaviour – it is just another nail in the coffin of fair play in lucrative professional sport, awash with the kind of “un-gentlemanly” conduct which has existed for a long time. Are NZ all that bad? Firstly if the test were not one of cricketing skills, but of a man-off involving arm wrestling, hard liquor, female conquests on aircraft and stamping on glass, New Zealand would white wash England 3-0. Unfortunately it isn’t and on paper England have the consistency and discipline to mince the Kiwis, form them into burgers and sell them to ALDI as ‘beef’. I’m not quite sure it will turn out to be as one sided as some are suggesting though. Ross Taylor, easily their best batsman is back, despite his own coach and board stitching him up like a kipper. Tim ‘mile high club’ Southee is also back – he can trouble England with out-swing. Then big Brendan can flay any attack, especially batting down the order against the old ball and spin. Let us not forget the Kiwis bowled South Africa out for low totals on their tour (even though SA bowled NZ out for microscopically, record breakingly low ones) and won a test in Sri Lanka to draw a series. So don’t write them off before a ball has been bowled. Ineligible as he isn’t a human – he’s a cyborg sent from the future who doesn’t sweat and can shoot your hat off your head from 1km away using his robot eyes. Nick Compton – 5Blocked an end up like Imodium. Would have converted one of his starts and eased his strike rate up with more Brylcream. Trott – 7Boot nosed top middle order commando came good in the final push over the top. Flower’s plan to hypnotise KP into thinking he was playing in Indian Premier Test League for the Delhi Dirtdevil’s worked spectacularly in 2nd test. Once the reviews for his biopic film The Hobbit was out, Bell was able to relax with an unbeaten hundred. In Pakistani years, Root is 10. Amazing achievement. Purely for his post match press conference where he didn’t sound like the ECB’s ventriloquist dummy. Also kept and batted well and because he will never turn to the dark side – the advanced hair studio. Utter tripe, I say… ah I say utter tripe. Actually bowled fast which seems to be out of fashion for English fast bowlers. Didn’t fall over either. Reports of his bowling demise greatly exaggerated. Made Pujara who seemed Dravidesque his internet bought boy wife. His new low hand clappy whistly celebration justifies a score of 9 let alone his wickets. Ah so that’s what a billion sighs of relief sound like. Finally, pint sized cricket man god, Sachin Tendulkar, has hit his hundredth hundred. Blogs and newspapers are filling up with features that have sat on hard drives for 12 months like an obituary of a very old famous person, just waiting to have the proverbial dust blown off them. It really did feel like he’d be stuck in the nervous 99.94’s in perpetuity, alongside Sir Don of Bradmania. I know Sachin is a big fan and will be reading this, so congratulations. It’s a milestone that feels like it will never be matched. 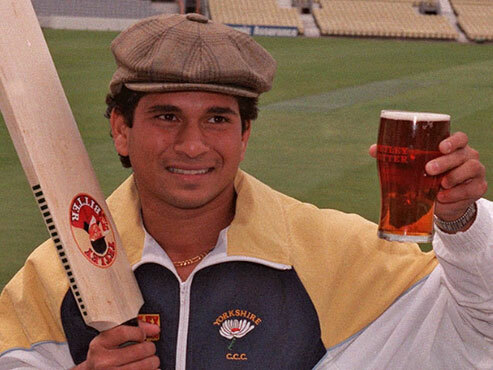 Sachin Tendulkar enjoys a pint of warm bitter after hitting an international hundred for the hundredth time. After much trumpeting, backslapping and hour-long specials on Sky TV, last summer England were anointed world number one test side and presented with the ICC Disco Mace by a roller skating Sister Sledge (it is nearly camp enough for this to have really happened). This is a position they still maintain thanks to some rain in Dunedin and no thanks to their ability to play Pakistan’s spinners in the UAE. Everyone knows that to be a truly great side, which is what this England team are vying for, you need to be able to win in all conditions. Steve Waugh of the truly great Aussie side of the 90s and 00s called India “the final frontier”. The same applies to England anywhere in the sub-continent where they need to prove they can play spin in slow low conditions and bat sides out of games. The England team is now in Sri Lanka for a two match quickie. A two-match series is the test cricketing equivalent of a knee trembler up against the bins and following the Pakistan debacle, they now need to win in Sri Lanka conclusively for a shot at even partial redemption. A conclusive win is usually highly unlikely in the official home of the draw and even this would leave question marks over players and techniques, so a win or at least a drawn series in India this winter is needed to suggest this is a side that might be considered among Waugh’s Aussie team one-day, which remember, is what the hype machine was suggesting before the Pakistan debacle. Focusing on the here and now is something the modern media trained cricketer espouses and a conclusive win in Sri Lanka is actually possible. They are a team some disarray. Their state run cricket board is like a banana republic. They don’t pay their players that often and haven’t even booked a hotel for the team near to one of the test venues. They have also managed to schedule thousands of ODI’s, thousands of miles away as suitable warm-up. This general dysfunction and the retirement of Murali have caused Sri Lanka to perform pretty badly in most recent test matches. They do have high quality batsman capable of posting very big scores but their seam bowling attack has fewer teeth than Wilfred Bramble and they lack a spinner like Saeed Ajmal who genuinely tormented England’s batsman in the UAE. Andy Flower actually threw a towel onto the pitch at one point it was so unpleasant to watch. The closest Sri Lanka has to Ajmal is Ajantha Mendis who is currently injured and who has never matched his early promise. Rangana Herath is a skilful and consistent enough spinner, but lacks the ability to tear through sides even in home conditions (these are words I may possibly have to eat). So this series presents a great opportunity for England to win back some confidence ahead of the winter tour to India and opportunities like this do not present themselves very often. If England can amass decent first or second innings total and the bowling unit, likely to have two or even three spinners if Samit Patel and Monty Panesar are selected perform as they did in the UAE, there is a possibility of a one or two nil victory.